As part of the Central Bank of Ireland’s commitment to carrying out our responsibilities in a socially responsible and sustainable way in our local and wider community, we work closely with Junior Achievement Ireland (JAI). This partnership supports UN Sustainable Development Goal number four, of ‘Quality Education’. Over the course of the 2017/2018 school year, 39 volunteers worked with 18 schools and 743 students in County Dublin and County Waterford on the ‘School to Work’ and ‘Career Ready’ programmes. Our volunteers taught a variety of JAI courses in schools, and we encouraged them to invite the students into the Bank to tour our visitor centre, hear career talks from our people, and to play financial literacy board games provided by JAI. Under the guidance of JAI, we are working to broaden the learning opportunities afforded to students in line with our commitment to public service, diversity and inclusion. Last November, we hosted the graduation ceremony for ‘Career Ready’, Junior Achievement Ireland’s flagship employability programme, sponsored by the Citi Foundation, which runs over two years and involves sixty transition year students from three schools. 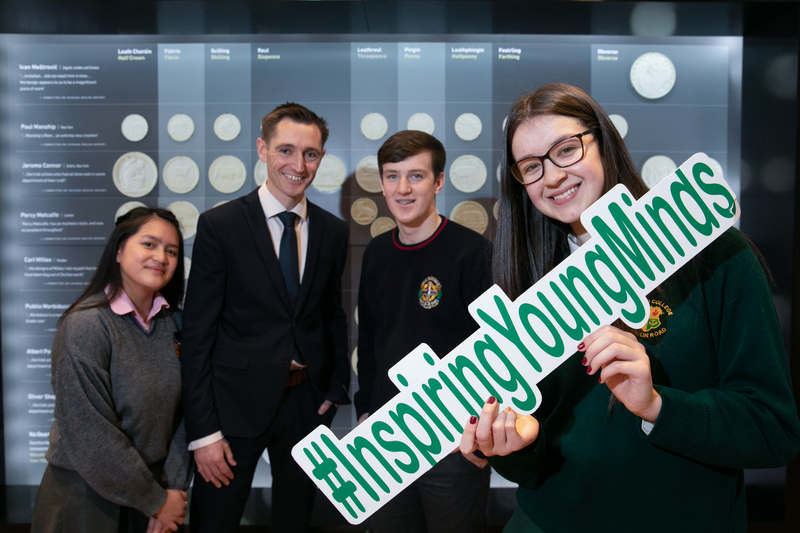 Our leadership team lead by example regarding our work with Junior Achievement, and our Governor, Philip Lane has spoken with students as part of the programme, while Deputy Governor Sharon Donnery welcomed students from her former school, Loreto College, Crumlin, Dublin to the Bank. Our partnership with Junior Achievement has helped us to build positive relationships with several local schools and we are continually looking to strengthen these links, by inviting students to visit us, and seeking transition year and scholarship opportunities. One of our volunteers, Declan O’Sullivan, who worked to inspire students from O’Connell CBS Primary School, Dublin 1, commented, “I loved every minute of it, they were a brilliant bunch with great teachers and a wonderful principal, Patsy O’Keeffe. I think the presentation of the certificates in our North Wall Quay building topped off a great few weeks for the lads”. This year, for the first time, we have employee volunteers signed-up to participate in JAI’s mentoring programme, and we look forward to welcoming many more students to the Bank via our partnership with JAI.